My husband loves the recipe. Baba Ghanoush is usually eaten with pita bread but we had it with all types of bread. My husband even had it chicken and rice. And I didn’t mind that at all! As long as we are getting vegetables in our meals, we are covered! 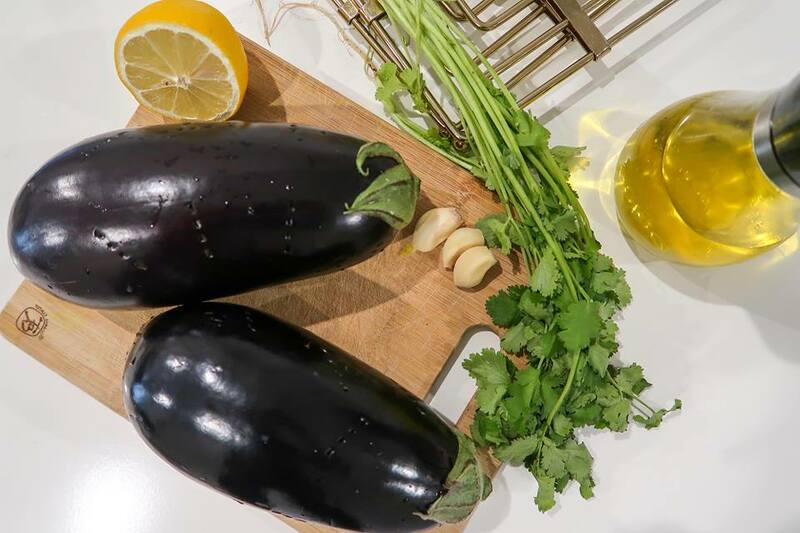 Start by baking the eggplants (this will create the creamy texture)! Preheat the oven to 350 degrees. Before putting it in the oven, poke holes in eggplants using a fork (this is to make sure we are letting the steam out). 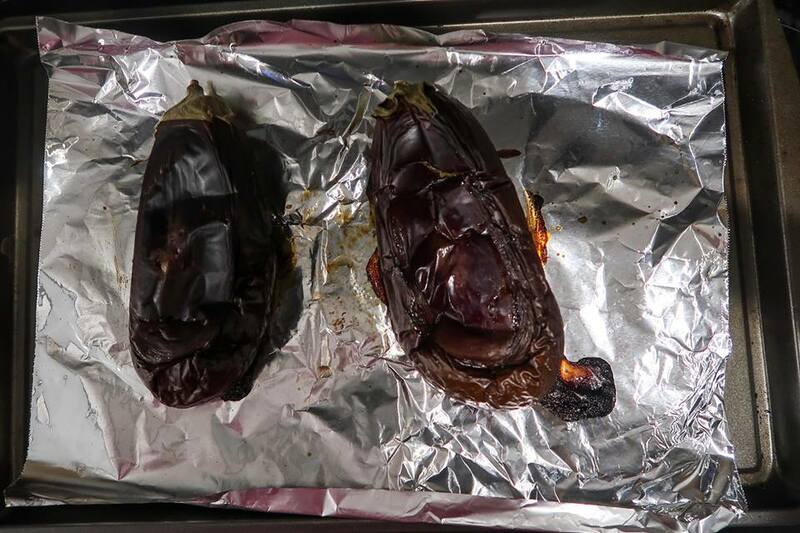 Now let the eggplants bake for 1:15 mins to 1:30 mins on the aluminum sheet (to avoid them from sticking on the pan). When they are fully baked, they will look something like this. Put them aside and let them cool for 15 mins before you start peeling them. Now let’s get all the other ingredients ready! 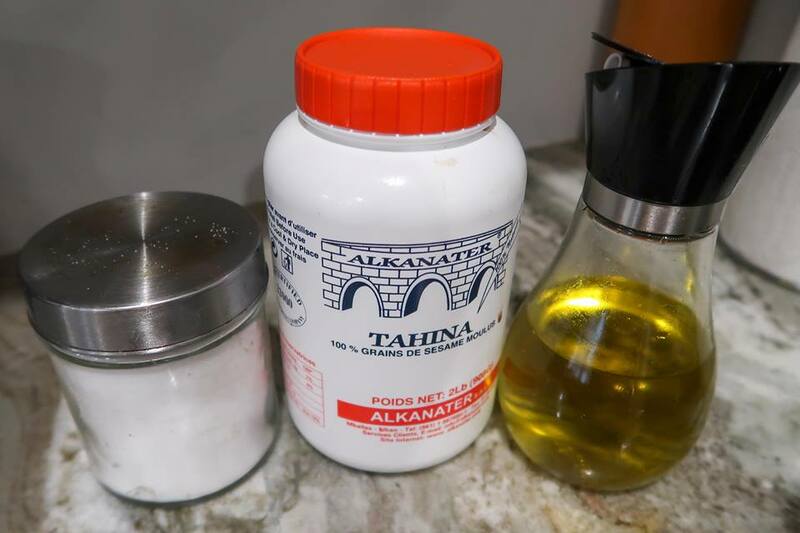 Have some salt per tasting, tahini and olive oil ready! I didn’t get the chance to take photos of the blender but start by throwing all the eggplants in the blender jar (skin should not be included). Now add 2-3 tbsp of tahini, salt per taste and 1tsp of olive oil in the blender. We will add the rest of the olive oil once blended! 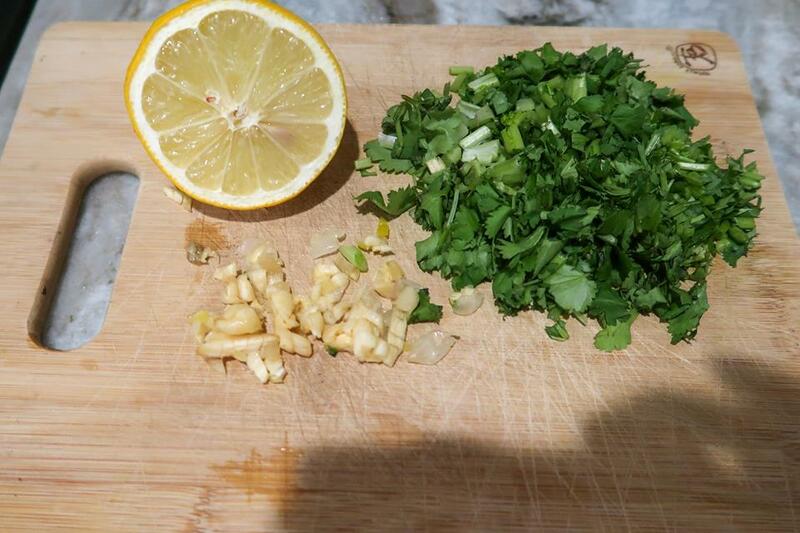 As per other fresh ingredients, you need half fresh lemon, 2-3 garlic cloves (chopped in small sizes – although I am blending it, I don’t want to come across garlic chunks in my mouth) and small coriander bunch (you can also use parsley). I only had fresh coriander but also because, I enjoy coriander more than parsley. 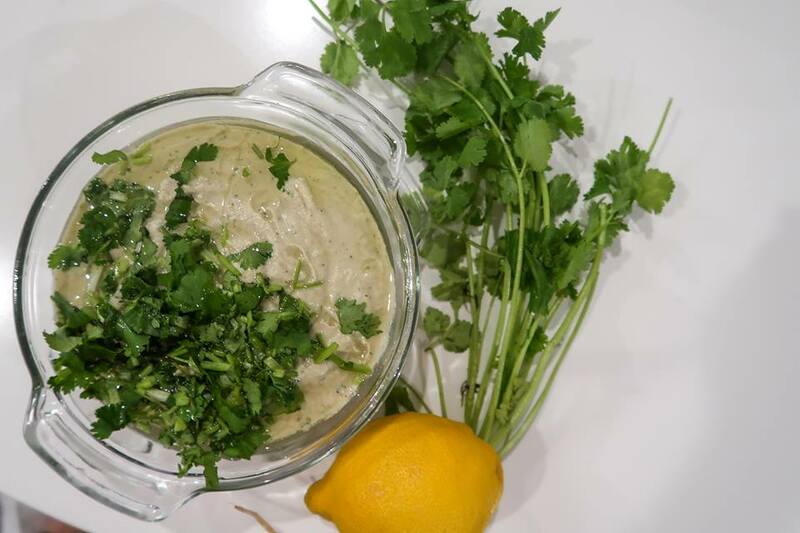 Now squeeze lemon in the blender jar, half chopped coriander (leave the other half for garnish) and garlic chops. Blend it all together till you start seeing a creamy fine paste. Make sure to not overblend as the paste can get a bit more liquidly. And there you have it! It’s not a hard recipe. It easy and most importantly healthy, I garnished it with the rest of coriander and some olive oil.